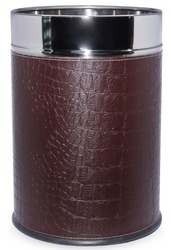 Available with us are wide range of Leather Dustbins which are fabricated using quality raw material. It enhances beauty of any establishment and lends aesthetic and classy look to your space and are durable and weather proof and offered in various color patterns and textures at really affordable prices. 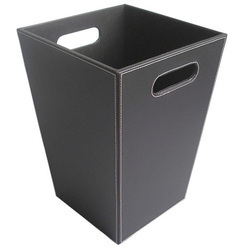 Our firm is involved in providing an exceptional quality range of Dustbins. 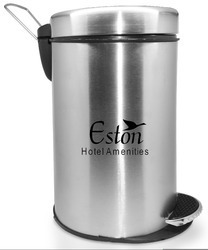 These dustbins are available in varied designs, shapes, patterns and finishing as per the accurate demands of our patrons. 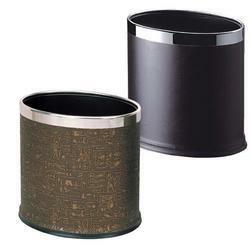 Moreover, our vendors manufacture these dustbins by using qualitative raw materials and high-tech machines. 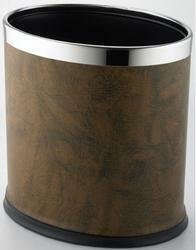 Our vendors ensure that these dustbins are made in accordance with set international quality guidelines and standards. 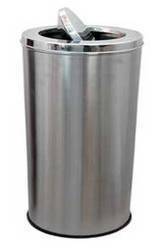 Stainless steel bins used for disposing wastes. 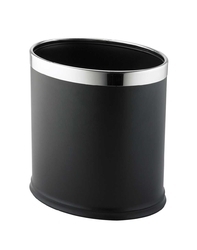 Once of the most popular bins is Ashtray bin. This has a functional design with an ashtray on top. 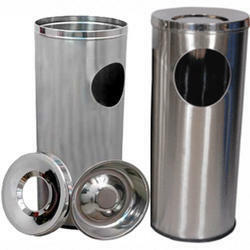 These types of bins are used in a wide variety of establishments like hotels, apartments, shopping complexes, corporate offices, etc., which have permitted smoking zones. 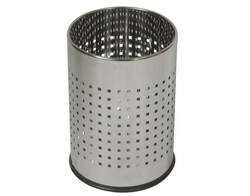 Our ashtray bins are fire retardant, non corrosive and are designed for maximum odour control and ease of maintenance. 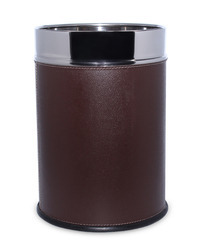 Pedestal Bins 5LTR Plain 7x11"
Pedestal Bins 7LTR Plain 8x12"
Square Leather Dustbin that come in various rust colours and designs.It has a classic look, which is sure to match any interior decor, particularly the modern and contemporary one.These leather waste bins can be manufactured as per customized design.